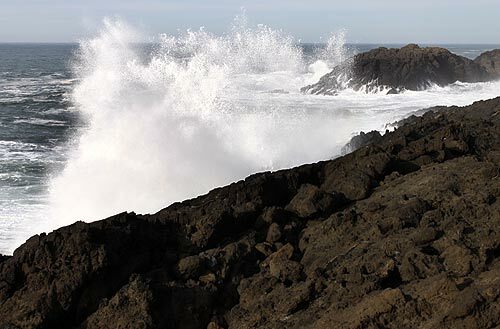 (Oregon Coast) – The National Weather Service in Portland (NWS) issued a special weather statement Tuesday saying to expect a wild one for the Oregon coast later this week, lasting through the weekend. Gusts of up to 60 mph are possible, torrential rains are likely at one point, and some massive ocean waves will be battering the beaches. Moderate to heavy rain along with gusty winds are likely coming in on Thursday and sticking around for the weekend, the NWS said. It will be the first in a series of fairly strong and moist Pacific systems, moving in Wednesday and early on Thursday. 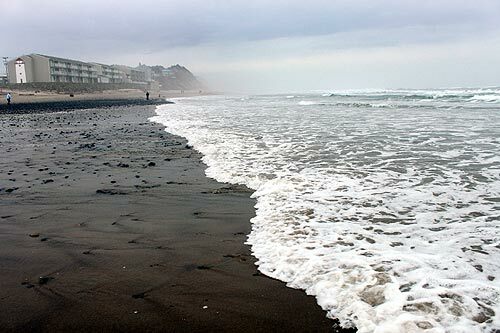 The beaches could get hit with gusts around of 50 to 60 mph, although the towns along the Oregon coast will be considerably less. 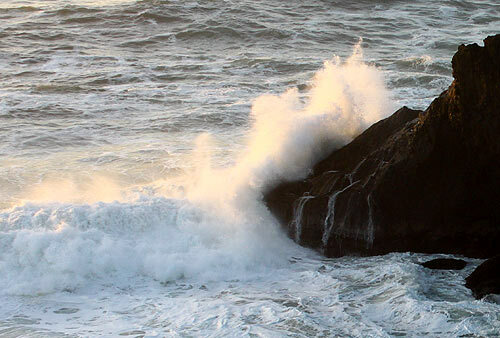 Seas are forecast to get up to 23 feet on Thursday, dipping down to the upper teens over the weekend – but this is still considerably large. That will likely mean some wave warnings later in the week, and certainly cause for extreme caution while approaching any beach. The first system is connected to a subtropical moisture pattern that will bring much rain, perhaps as much as two to three inches to the coast, while Portland and other inland areas could get one to two inches. A second system comes in on Friday and Saturday and that too will bring wild winds and more rain. 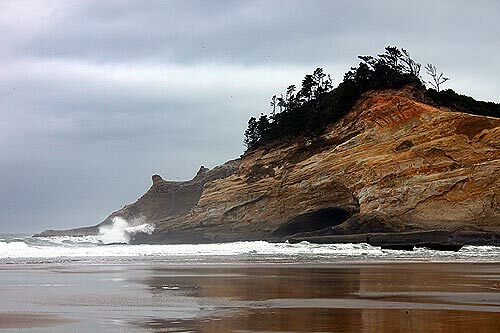 The Oregon coast range and the Cascades could get as much as five inches of rain over the course of those stormy days. Additional systems will continue to flow into the Oregon coast and inland over the weekend and maybe through next week. The NWS said this may mean a fairly prolonged period of rainy and windy weather not seen here in some time. 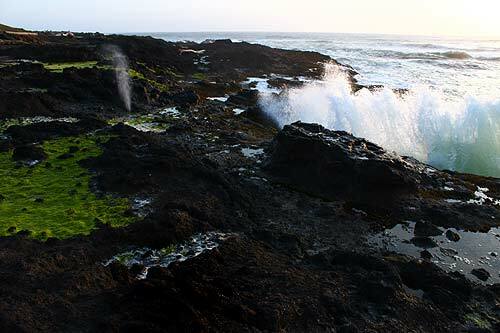 Once the stormy period is over, all this wave activity and westerly winds could well have resulted in some decent beach erosion and thus good agate hunting and other beach finds. February storms have a greater chance of bringing in glass floats from Japan.